Our 1st Open Day in London! Our first Open Day Event on Saturday 13 May 2017! It will take place in our nursery school in Woodgrange Hall, North London, on Saturday 13 May 2017, between 11 am and 2 pm. *Added later: did we mention that we received OFSTED Certificate of Registration? 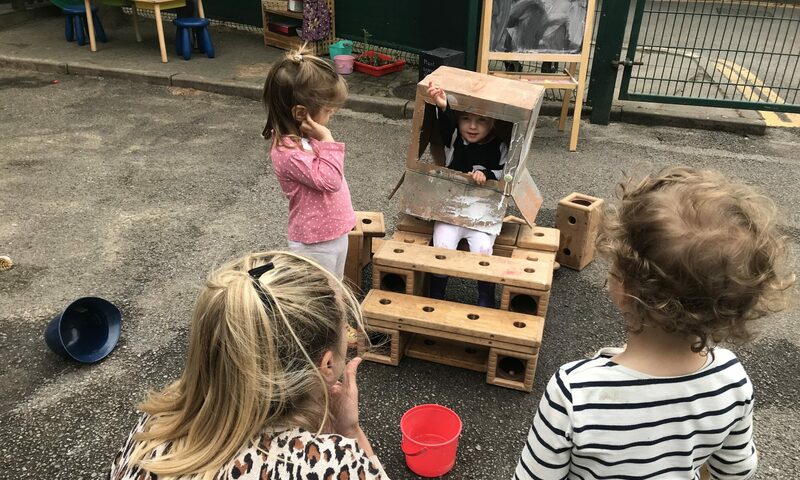 The Open Days are a chance for families to meet us and see the setting, for children to explore our environment and materials, and for all to talk about all things Montessori! We welcome enquiries through our Facebook, Twitter, and Instagram pages, or by emailing admissions at unitymontessori dot com. 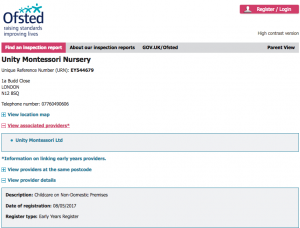 We are very pleased to announce that our London nursery has received OFSTED’s Certificate of Registration! The news came yesterday through the post. Parents can now check our registration details by visiting OFSTED website. This really came at the perfect time, as our Open Day Events start tomorrow! We would like to take this opportunity to invite families in Woodside Park and surrounding areas of North London to come for a visit, meet our staff and check our lovely new setting.